We have over 30 years of experience in the HVAC field, and look forward to many more. Our experienced team has just one priority: happy clients every time, no matter what it takes. We proudly support American made products. The team here at Advanced Mechanical Services has been proudly serving residents and business owners throughout Paramus, NJ and surrounding communities with top-notch HVAC services for over two decades. No matter what type of air conditioning or heating system you have, we install and service it, in addition to servicing all sizes of chillers. Our number one priority in all that we do is quality customer service. Without our customers, we would not be in business. We believe in trustworthiness and reliability, and live by our motto of “100% Customer Satisfaction.” This is backed by the skill and expertise needed to get the job done quickly and accurately. Our entire staff of Paramus HVAC Contractors is NATE-certified, and has been granted the NJ HVAC License in addition to the State of NJ Division of Consumer Affairs Home Improvement License. We provide all HVAC sales and services to our clients and are dedicated to your happiness, no matter what it takes. Call us now to learn more. SAVE $25 on your Heating or AC Repair! SAVE 10% on ANY Service! It's no secret that living through a summer in Paramus, NJ requires a properly and efficiently functioning air conditioning system. Our expert HVAC technicians are fully trained in system sales and services of all kind and can help you make an informed decision about which system is right for your home. We stand 100% behind our customers and will be sure to provide you with the service that will keep your AC running well now and for the years to come. When you're faced with a bitterly cold winter's night, you of course don't want to be stuck with a malfunctioning heating system. Turn to the expertly trained heating contractors at Advanced Mechanical Services for the best in heater installations and replacements, and comprehensive heating services of all kinds. We service all type of heating systems and install boilers, ductless systems, dual fuel systems, heat pumps, furnaces, radiant heating systems, and even pool heaters. Enroll in our maintenance plan to ensure your heater functions as it should for as long as possible. Commercial air conditioning and heating systems require specialized services beyond what a residence would need. This is why you need experienced technicians with the training and the licensing that’s needed to precisely install, replace, repair and maintain these complex systems. We service any type of commercial air conditioning or heating system, and provide exceptional indoor air quality products and services as well. You can rely on our NATE-certified staff to assist you in all your commercial HVAC needs. 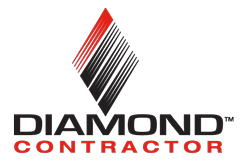 An effectively working HVAC system is vital to the operation of your business, and we are 100% dedicated to your satisfaction. Contact us today to discuss your commercial needs. We'll service any brand, but we prefer selling American-made products. Advanced Mechanical employees and services were outstanding. They were quick to come out with an estimate and finished all work on time as promised. Excellent! I would definitely use their services again! $95 per unit per year, or twice a year of a big discount! Running your HVAC unit without performing a tune-up is like running your car without a tune-up. It will end up costing you more in the long run. What Does a “Dual Fuel” System Really Do? The simplest explanation of a dual fuel system is that it’s a hybrid of a standard electrically powered heat pump with a backup furnace. © 2016–2019 Advanced Mechanical Services. All rights reserved.